Thank you so much for your prayers and financial support these last few months. Currently, Jacob is on full time deputation. It’s been an exciting and busy time for us! There is a lot going on with the Jones family. During the month of August, we presented at 9 churches, continued Teen discipleship off and on with the Cocopah, and had our monthly teen activity. For the monthly activity, if our teens attend church three times a month, they are allowed to attend the activity. This month’s activity was a trip to Pizza Hut. We had 8 kids that attended! We presented our burden throughout New Mexico and Arizona. It was beautiful to see the sights as we traveled! Through generous donations, we were able to get a 5 liter oxygen concentrator to allow Lydia to travel with Jacob for part of the month. God also provided funding for a wheelchair when she was less able to walk. Discipleship has been going well! We are going through a teen discipleship book called “Love, Dating and Marriage.” Jacob is working with two teen boys named Loren and Tyler. Lydia is working with two teen girls named Mariella and Molly. We are seeing them learn more about God’s love and how we are to keep pure for marriage. In the month of September, we had the opportunity to present at 6 churches throughout Arizona, Nevada, and Utah. We had a great time! We got to see family and friends as well as exploring the sights in those states. On the 8th, Pastor Veldhuis took a few of our teenagers to the Arizona Regional Youth Conference in Peoria, AZ. They had a great time! We also continued discipleship with the same 4 teenagers from August as well as 1 Cocopah young adult. On the 28th, we had our monthly teen activity which consisted of an open house/taco night at our new apartment. We also found out that Lydia is pregnant! At the end of September, she was told that she can no longer travel because of the risk to her and the baby. It was decided that she would stay in Yuma and help with the work here while Jacob continues to travel. 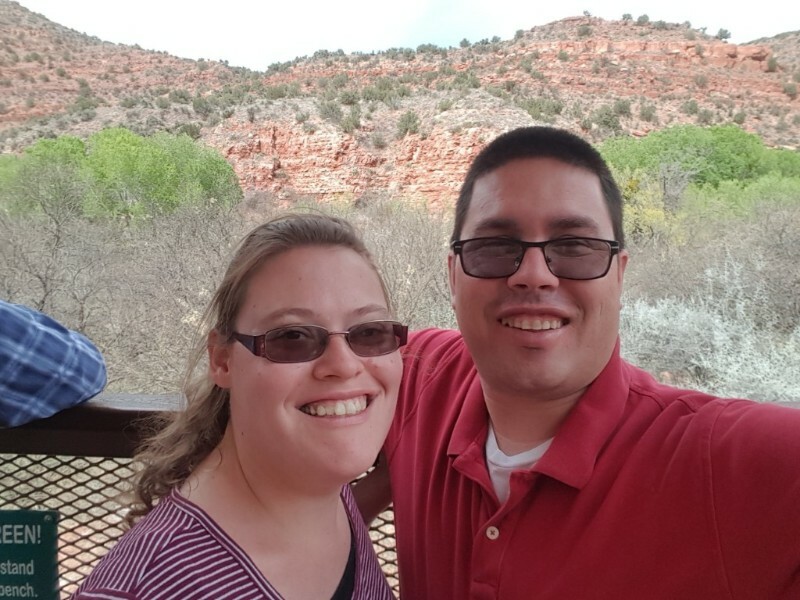 During the month of October, Jacob traveled throughout New Mexico presenting our ministry He was able to present at 10 churches during that month! From the 25th- the 27th, Bethel Independent Baptist Church (The Cocopah church where we are serving) hosted a Native Revival with three Navajo guest preachers and a meal every night. We had a special program for 1st-5th graders, and childcare for infants-4 year olds. We had a great attendance and the preaching was well received. We had one young man accepted Christ for salvation that week! On the 27th, right after the Native Revival, we had our monthly teen activity where we played Capture the Flag. and Jacob was able to give a message on “Walking With God” All went well. Salvations- Mariella, Satori, Ayla, Cayden, Airus, Sherry, Stanford, Sylvia, Mary, Joe, Jessie. Begin a couples class, H.O.P.E. addiction ministry, plant a church on the Quechan reservation and other ministries that the Lord leads us to start in order to reach for Natives for Christ. Sondergaard Update – Andrew is Home! GoodSearch.com is a Yahoo! powered search engine which donates 50% of its revenue to the charities and schools designated by its users. You can help fund our ministry without spending a dime!